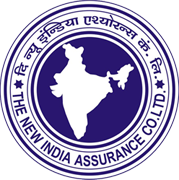 The New India Assurance Company Ltd., a leading Public Sector General Insurance Company and wholly owned by Government of India, invites applications from eligible Indian Citizens for recruitment of Assistants in Class III cadre from open market. Since recruitment in clerical cadre is done on State/UT wise basis, Candidates can apply for vacancies in one State/UT only and will have to appear for Online examination from a centre of that particular State/UT as allotted by The New India Assurance Co.Ltd. For example, candidate\applying against vacancies in West Bengal State can opt for center West Bengal only and would be considered for employment in that State only.